Travelling to East London Physiotherapy & Sports Medicine from Moorgate requires a couple of changes. You will need to take either the Metropolitan or Circle Line on the London Underground to Liverpool Street. At Liverpool Street station you will need to change and take the Central Line to Stratford. This journey will take you approximately 12 minutes. 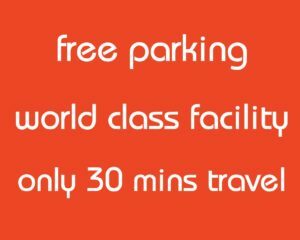 From Stratford Station you have a choice of either taking a taxi from the rank outside the station which takes less than 5 minutes or alternatively it is a 10-12 minute walk from the station to Lee Valley VeloPark E20 3AB where our clinic is located. Taking a left as you come out of the tube station and walking through the shopping centre will reduce the walking time. Another option is to take advantage of the Santander bikes which has a docking station on Westfield Avenue. Turning right as your come out of the north side of the station and then right again on West Avenue will lead you to their location. 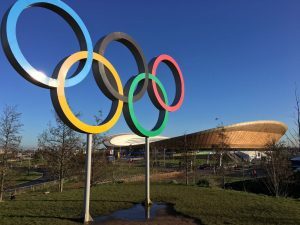 There is a small hire fee, however cycling from Westfield Avenue to the Lee Valley VeloPark is approximately a 5 minute journey and you will be pleased to know that there is a docking station to return the bike to directly in front of the Lee Valley VeloPark. Travelling to East London Physiotherapy & Sports Medicine by bike is approximately a 25 minute journey. This method of travel will take you through the picturesque cycle paths of the Queen Elizabeth Olympic Park which provides fantastic new views of the developing London skyline. Please click the link below to see the directions. These directions can be sent to your phone if are using a desktop PC. Travelling to East London Physiotherapy & Sports Medicine by car is approximately a 25 minute journey from Moorgate. As part of your physiotherapy treatment you are entitled to free parking, however you must enter your vehicle registration in to one of the parking terminals to obtain a ticket to display on your vehicle. You will need to do this on each visit in order to avoid a penalty charge notice and it is your responsibility to be aware of when your parking time starts and ends. There are four terminals where you can obtain a ticket, they are; the track centre counter, the BMX/Mountain bike tunnel area by external lockers, the external tunnel exiting on to the road circuit plaza and the inner changing room corridor by the first set of lockers from reception. There are several bus routes connecting Stratford and Queen Elizabeth Olympic Park with the key routes being: 388, 308, 339, 97 which all stop near Lee Valley VeloPark. Black taxis are available from outside Stratford stations’ northern ticket hall which is located on the lower ground floor of Westfield Stratford City near Starbucks.